From the spring of 2016, passengers of Costa Cruises will be greeted by a group of robots known as 'Pepper', which will provide them with useful information about their trip, which could include everything from dining options to information on how to get about on board. The robots are expected to make their debut on AIDAprima and Costa Diadema ships, and Costa plans to roll-out the entire fleet by the end of this summer. These are not just any old robots, however; they are intelligent robots, with the capacity to recognise human emotions. Pepper can respond to requests incredibly accurately, perhaps even more consistently and efficiently than a real human could. The robots are just under four feet in height and have a cutting-edge 3-D camera, which can easily detect humans and their movements. 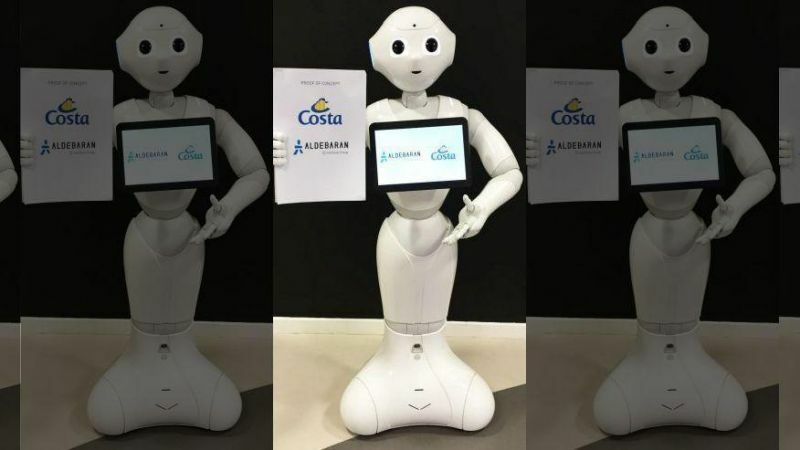 Costa Cruises has stated that these robots still have to undergo intensive internship programmes, just like human employees, to prove that they are fit for purpose and can engage with staff and customers at the required standard. However, one of the main advantages of robots is that, assuming they have been designed correctly, there is no room for 'human' error. Robots can provide much more consistent, factually correct information in a way that many staff probably can't, although it's possible that robots may still struggle with more obscure, complex requests. From a financial perspective, it certainly makes sense that businesses like this are making the transition to robots. No salary to pay, no sick pay, no annual leave - a robot can serve people all day, every day. Despite the high initial cost of manufacturing the robots, they could be a substantially more cost-effective long-term alternative to hiring a human employee. However, there is another potential reason why Costa Cruises is embracing this technology: robots won't have to worry about spending so much time away from home. Employees working on cruise ships often have to spend considerable time away from family and friends, which can certainly takes its toll emotionally. Will passengers interpret the move to robots as a step forward for customer service? Or will they regard it as a polarisation of customer service – a move simply designed to cut costs and give the customer less value for their money? Do people still prefer the human touch? A study, in the context of supermarket shopping, revealed that people still generally prefer to be served by other people as opposed to machines. For example, data from the Australian-based marketing consultant Barry Urquhart found that five out of six people would rather be served by humans than 'administer their own automated checkout'. Even in 2016, many people still have problems with self-service checkouts, whether it's scanning a product, waiting for a member of staff to approve a restricted item (i.e. alcohol), or dealing with frozen screens. These robots will only understand English, German and Italian, which could obviously be a problem for people who have no or limited command of these languages. Laura Reeve is the Marketing Executive for Avanti Travel Insurance, which specialises in travel insurance for those with pre-existing medical conditions, and are one of very few that have no upper age limit on their policies.